Own Balamory - Best Of Balamory DVD from Deff, DVD, Blu-Ray & 4K Video Specialists - Free UK Delivery..
Join your favourite Balamory characters in these Five Daisy Bus Days Adventures.The Map: Edie is going to take the children on a tour of Balamory in the Daisy Bus. So Edie and Spencer make some colourful maps of all the places they are visiting.Trip To The Moon: Edie asks Spencer to help her and Archie turn the Daisy Bus into a rocket so the children can travel to the nursery moon!Sausages: The children visit the farm on the Daisy..
Everybody, everyone come inside and join the fun! Boogie on down at the Balamory Dancing Party!Ceilidh: Miss Hoolie decides to hold a ceilidh at the nursery. Suzie Sweet insists on organising everything, but she soon tires herself out. Luckily, Josie has enough energy to ensure that the dance is a great success.Disco: Miss Hoolie asks PC Plum to organise a disco for the children, but he doesn't know much about music. 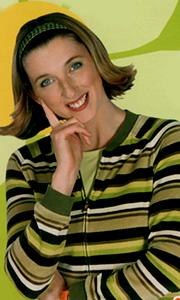 Josie teaches..
What's the story in Balamory? Where would you like to go? Join the residents of Balamory as they explore the island and beyond in their Days Out!Big City: Archie plans to take his nephew on a visit to the big city, but he is worried about how busy it will be. PC Plum gives him some advice on how to cross the road safely.Beach Ball: Josie Jump wants to take the children to the beach to play a game, but her ball has a puncture. Edie..
Own Balamory - Games And Fun With Everyone DVD from Deff, DVD, Blu-Ray & 4K Video Specialists - Free UK Delivery..
Couch Potato: Poor Edie McCredie is worn out after rushing around doing chores for Archie, who is just being lazy and eating too many biscuits! They call on Josie Jump to help them restore their energy levels.The Ballet: Josie has a great idea for a ballet performance at the nursery. Spencer is on hand to build some scenery, but how can they get it into the nursery without spoiling the surprise.Tantrums: Things keep going wrong for ..
Own Balamory - Musical Stories DVD from Deff, DVD, Blu-Ray & 4K Video Specialists - Free UK Delivery.. The Missing Scarecrow: When Miss Hoolie's scarecrow goes missing, Edi McCredie asks for PC Plum's help to find it. PC Plum is quick to solve the mystery when he confesses to mistaking it for a burglar the night before! Can Archie now save the day and Miss Hoolie's vegetable patch?The Sing Along Machine: After a noisy night, no-one in Balamory has managed to get any sleep. PC Plum solves the mystery when he discovers Archie testing his..
Own Balamory - Rain Or Shine DVD from Deff, DVD, Blu-Ray & 4K Video Specialists - Free UK Delivery.. There's a brand new story in Balamory! Seeking Santa is an Exclusive episode never seen on TV. Also includes the Snowflake Fairy - a specially extended winter episode.Seeking Santa: It's the day of the nursery Christmas party and Miss Hoolie asks PC Plum to dress up as Santa and bring some Santa wishes for the children. Suzie Sweet promises to 'make the impossible possible' and heads off to the Arctic Circle with Penny. They have a sn..
Own Balamory - The Christmas Collection DVD from Deff, DVD, Blu-Ray & 4K Video Specialists - Free UK Delivery..